The art of photography touches the lives of many through the lens of a photographer with a vision for telling a story. The new Digital Photography Certificate is a specialized program designed to provide aspiring and experienced photographers with tools and credentials that will enhance and nurture your photography skills. Every artist has a personal style that helps distinguish their work from the work of others, and our expert instructors will help you hone your unique style through hands-on projects and activities. The certificate helps students realize their goals, whether it is “to become a practicing professional or proficient like one,” says instructor Ray Pfortner. One of the best things about the Digital Photography Certificate is the credentials of the instructors. Tom Hefferan began his journey at Bellevue College Continuing Education as a student of photography and has been teaching for over 10 years. Tom says, “The certificate program brings all of the information you need about photography together. It’s a program for photography lovers taught by lifelong learners.” Tom’s passion for photography started out as a hobby taking photos of his family and friends, and grew into a career that he enjoys and looks forward to sharing with his students. 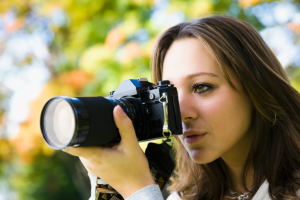 The beauty of the Digital Photography Certificate is in its flexibility and customization. The certificate is structured so that students will take a required set of foundational classes that make up the basic certificate. Students also have the option to pursue additional courses that enhance the general certificate with added expertise in a chosen area. You can also pair specializations together to form a Professional Photography Certificate in an area of your interest like, Professional Event and Portrait Photography or Portraits and Advocacy. Whatever your interest in photography may be, the Digital Photography Certificate offers the skills and training you need to turn your passion into a lucrative career or hobby. Visit the Art & Design page at www.BCconted.com for more information about attending a free information session.